I was lazy and am a bit late for the April Reddit Monthly Thread on the topic “food”. Here’s my contribution – an old recommendation about the size of the meals of the day, in German (written in Stiefo Advanced Level) and English (written in very basic Teeline). 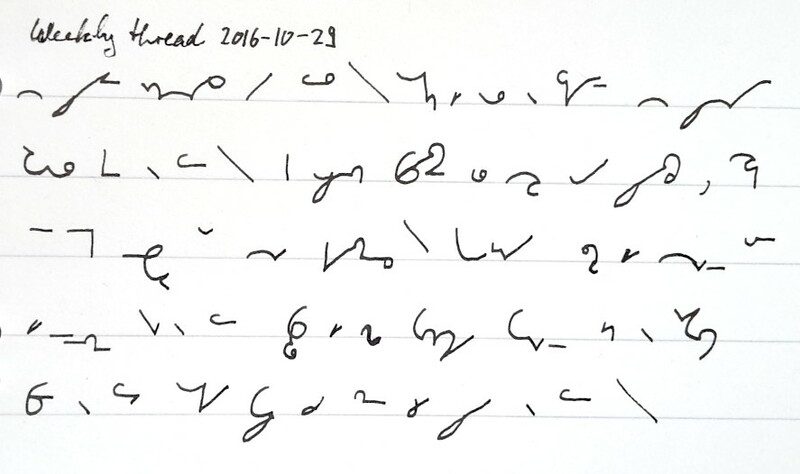 A bit of (still beginner’s level) Teeline for the Reddit weekly thread. My favourite animals – cats. In Teeline. 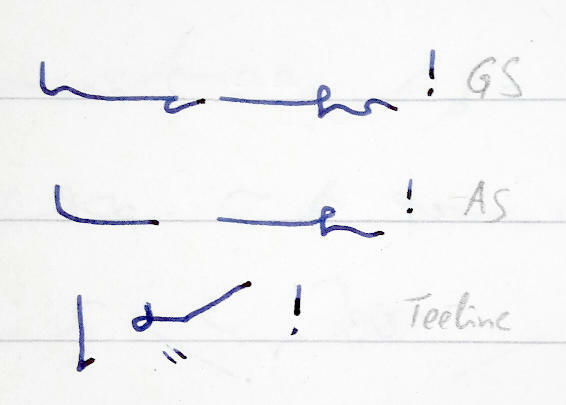 After a long hiatus I’m starting to practice Teeline again, because it surely would be useful for the English words I come across at work, which are clumsy to write in Stiefo. You can read this text in the German version of this post in Stiefo, for comparison. Posted on Friday January 1st, 2016 9. 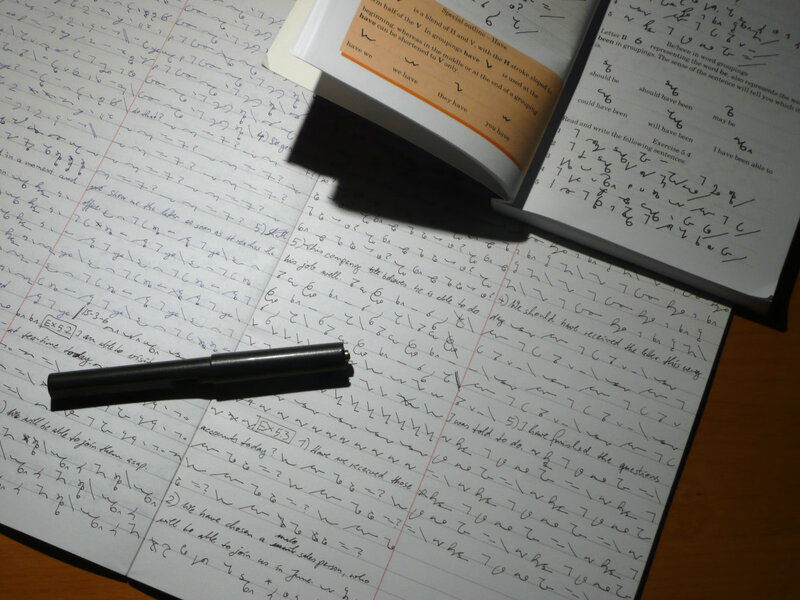 October 2016 Categories Aufbauschrift, Grundschrift, Teeline, ComparisonLeave a comment on A happy new year 2016! In all Teeline texts I’ve seen so far, the letter G is joined to R with a sharp bend backwards to form the head of the G. Have a look at the word “garage” (the Teeline Gold Course Book authors seem very fond of that one…) below, number 1. It would be much nicer to write a smooth connection, as in number 2. This happens quite often to me, as the Teeline G is similar to the German Stiefo M, which is joined smoothly to previous letters. Am I missing a problem here, some conflict or potential for confusion? One thing I’m thinking about: if the R is not completely straight but gently curves into the G, it looks like an upwards-L.
I’m not really happy about how I wrote “Pluto”: Joining upwards L and T is awkward (outline 1, below). I should have writen it disjoined, I think (outline 2). But then, I’m afraid this may indicate some suffix I do not know about yet. The proper way would be to use the normal L, to which T can be easily joined (outline 3). However, this outline would hang very low below the writing line. 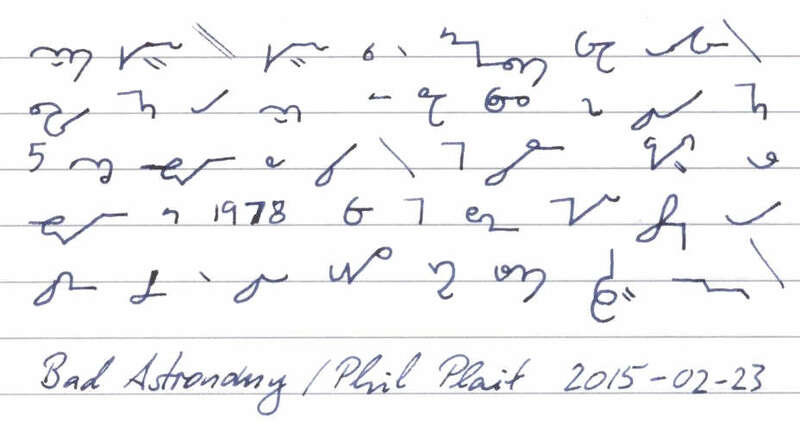 How to write “Pluto”? 1, 2, or 3? There are a lot of Teeline users and learners out there; some are blogging, some are tweeting or hanging out at Google Plus and Reddit. In order to revive the late 90s genre of the “link list”, I’d like to show you what I have found so far.